The modern city of Glyfada extends from the foot of Mount Hymettus to the coast of the Saronic Gulf and, in ancient times, was the site of Aixone. The deme of Aixone was primarily rural, but also known for its triglis, the tasty red mullet fished from its waters. Aixone belonged to the house of Cecrops, and its inhabitants were called Aixoneis. Archaeological finds indicate that the region was inhabited continuously from the prehistoric to the Byzantine period. Its inhabitants were said to have been particularly blasphemous and sharp-tongued, but also gourmands. Laches, one of the participants with Socrates in Platoís dialogue about the concept of courage in battle, was from Aixone. Until a century or so ago, Glyfada was a pine-clad region with expanses of farmland, a place suitable for summer holidays and camping. The only building in the region was a country church and a small inn that provided a shelter for hunters. In 1920 the first houses began to be built and the region rapidly evolved into a cosmopolitan health resort. 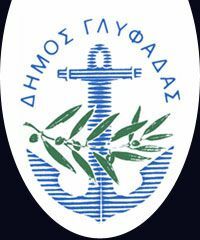 In 1926, it became an independent community named Glyfada, owing to its many wells and their brackish (glyfo) water. In 1950, the prominent Greek architect Dimitris Pikionis gave the name Aixone to a real estate cooperative located at the foot of Hymettus. Also at that time, a magazine of the same name appeared, which published, among other things, studies referring to the ancient municipality. The poet Angelos Sikelianos compared the beauty of the region to the landscape of Delphi, and a group of Greek intellectuals envisioned and, together with Pikionis, planned an ideal settlement of craftsmen, which was never realized. The only remaining evidence of this vision is the chapel of the Akathist Hymn in the vicinity of Aixone, and the house of the priest.